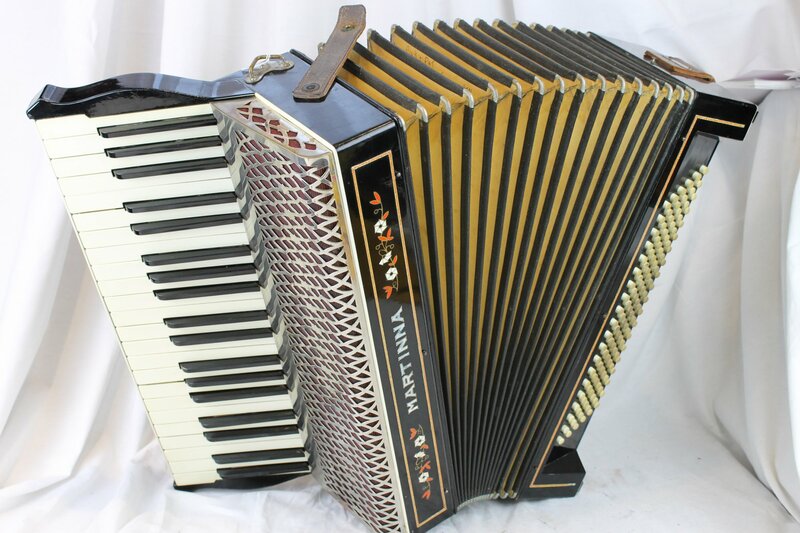 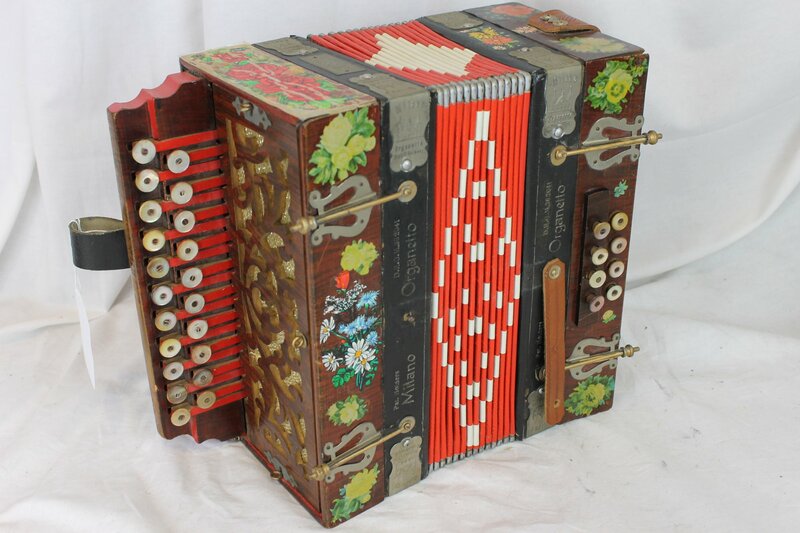 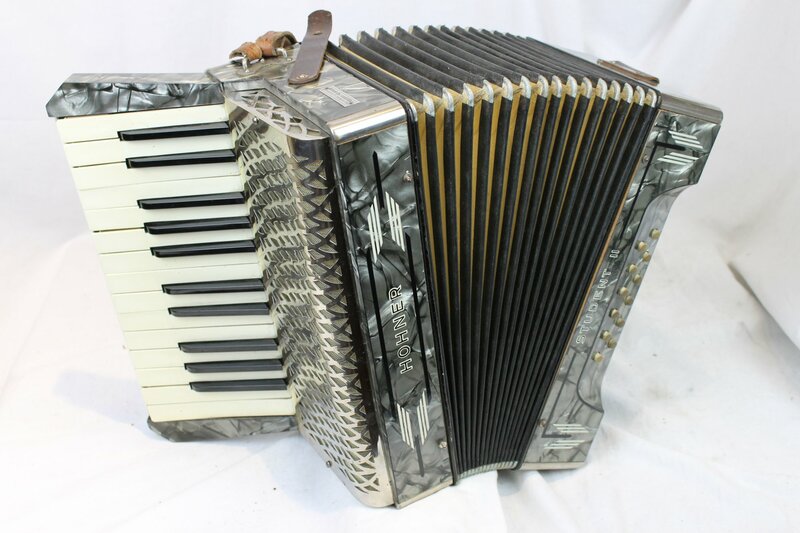 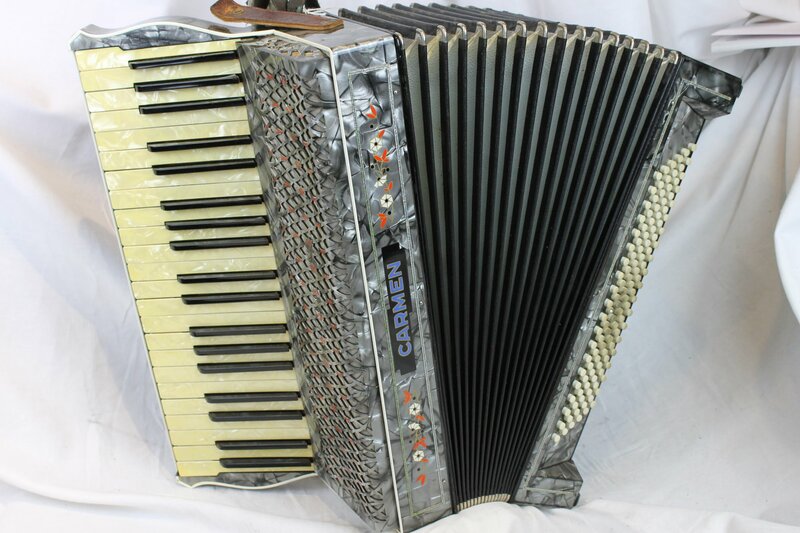 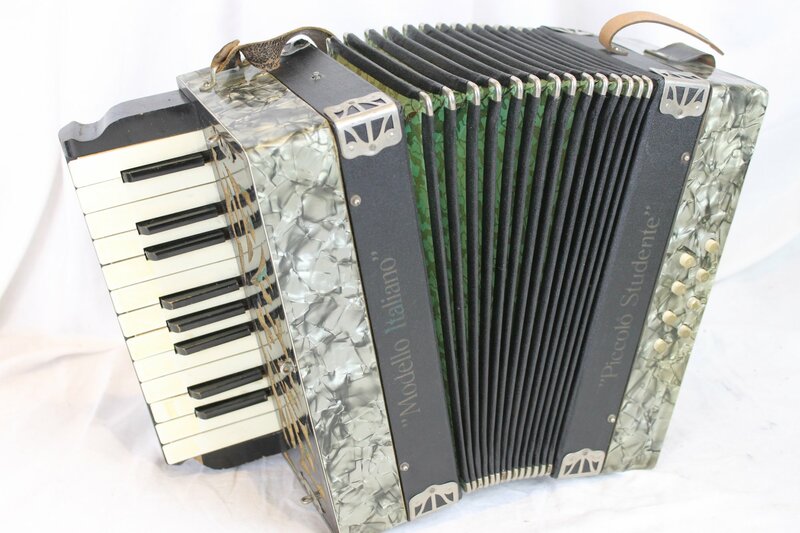 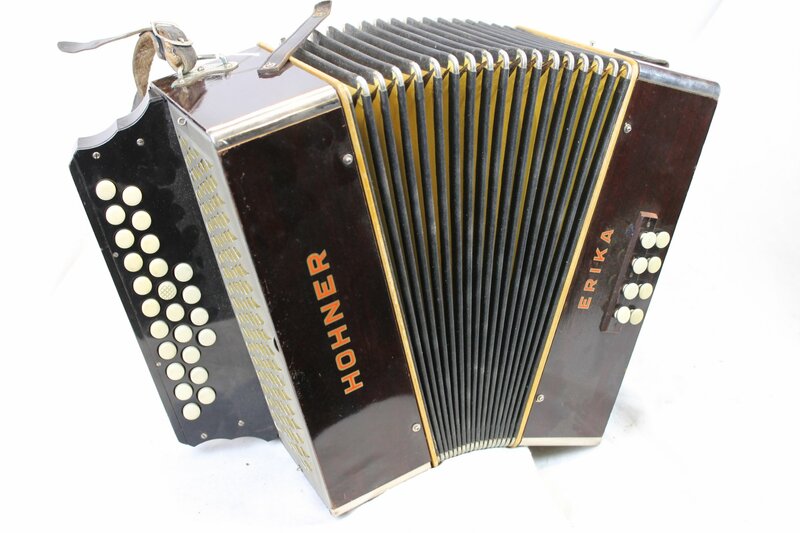 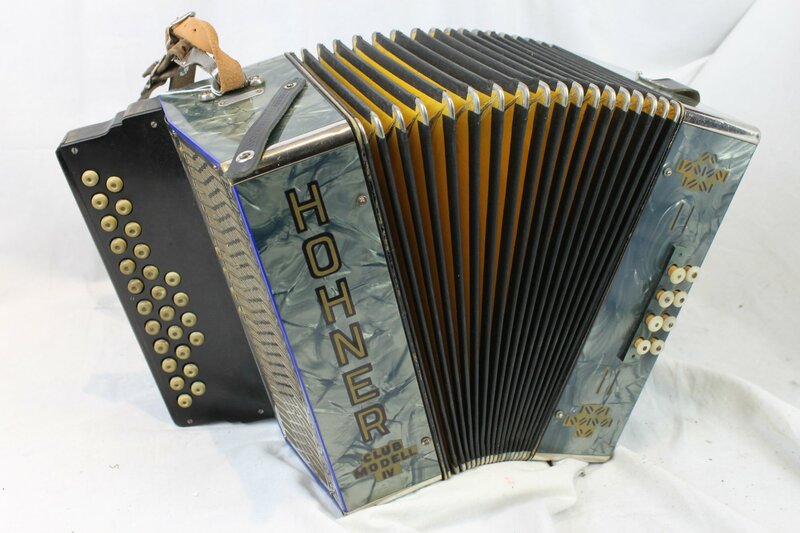 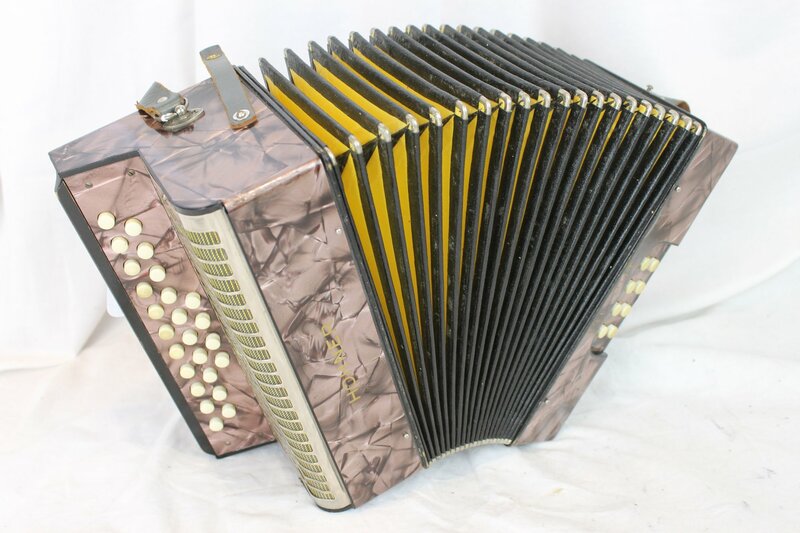 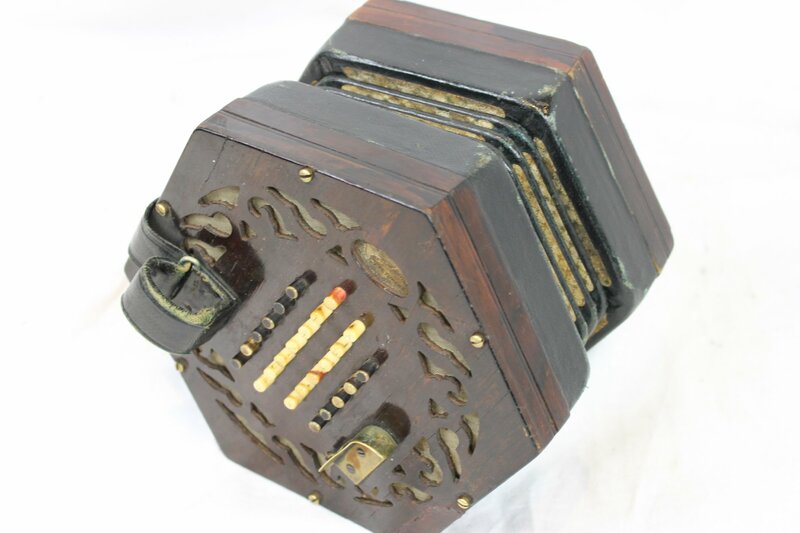 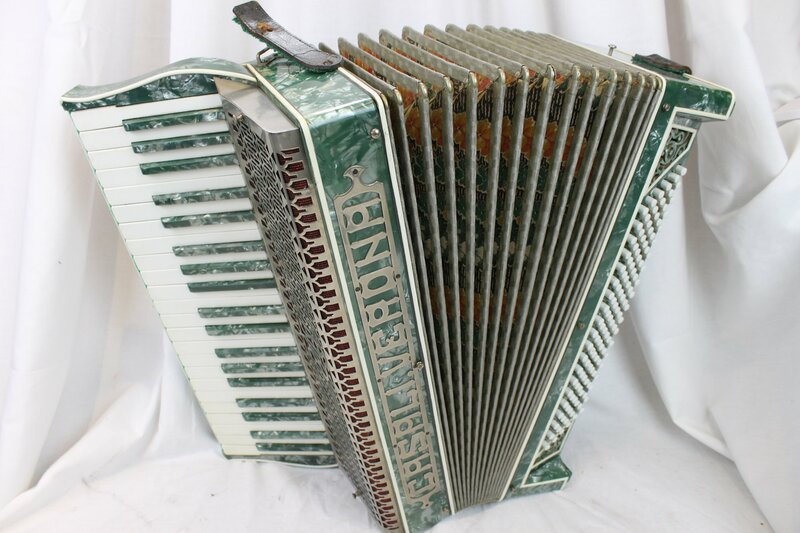 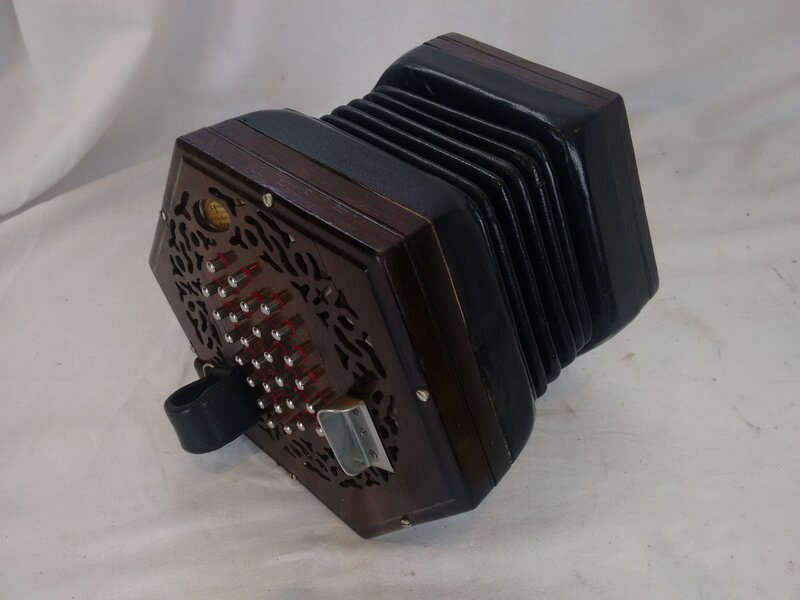 Long before celluloid and streamlining became the normal accordion aesthetic, vintage accordions were completely handmade with a great deal of individual attention. 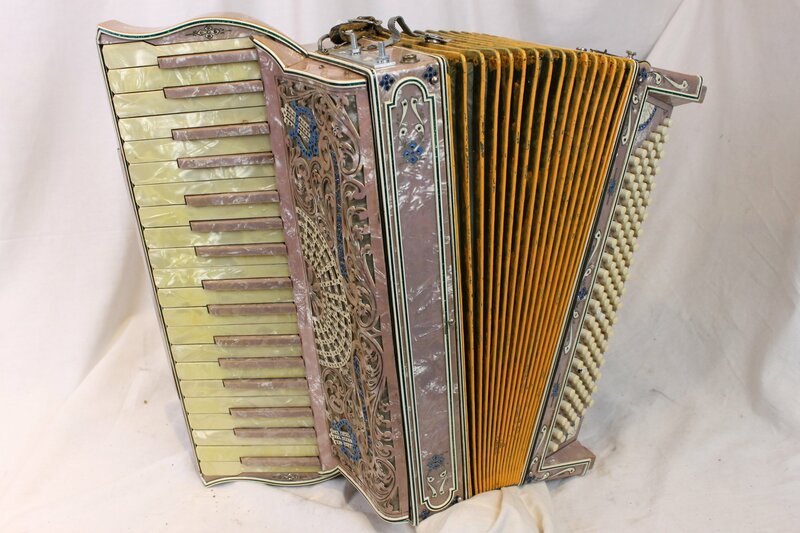 Many accordions made in the 1800s through the 1940s included ornate grills, in-laid wood, rhinestone decorations, and elaborate painting. 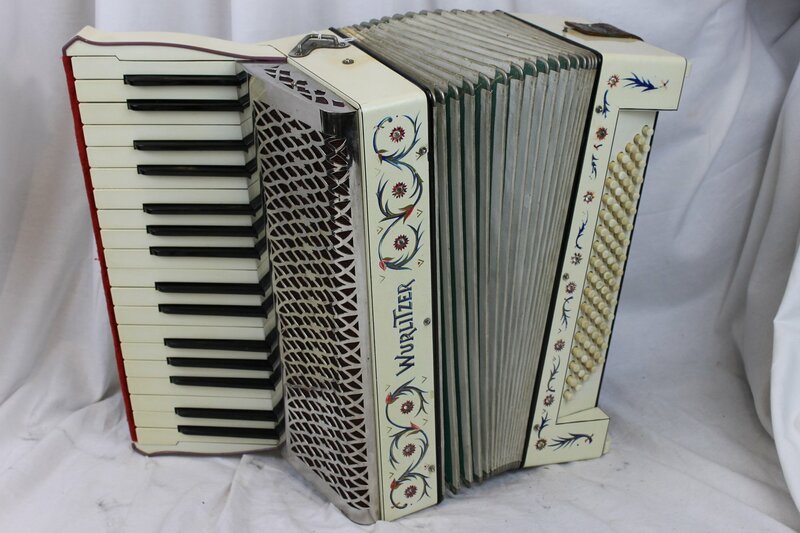 The reed profile used in early accordions was very different than modern production and this creates a sound as unique as the exterior of these instruments.